This smoothie is the perfect drink or snack for kids and adults! Want to make it even healthier? Try adding a handful of spinach to add a serving of vegetables. Raw spinach has very little flavor, so the only thing that will change about this smoothie is the color! Divide smoothie between 2 glasses and serve immediately. 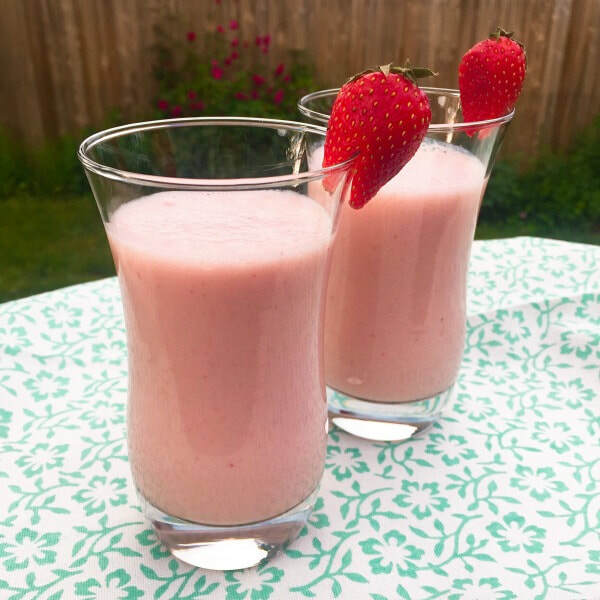 Note: Try using frozen bananas and strawberries to make this smoothie even more refreshing!